So I will be posting a bunch of photos from MerCon and the World Mermaid Awards tomorrow, not to mention from last Thursday’s Mermaid Ball at Barnes & Noble, where, amongst other things, Hannah Fraser read a piece by yours truly to a mesmerized crowd… but in the meantime I must generously inform you about a new mermaid-themed play that just debuted this past Saturday at the Fringe Festival in New York City. It’s called The Average-Sized Mermaid and is by playwright Jessica Fleitman and fortunately you can still see it next week. Shows are next Thursday, Aug. 25th @ 6pm; Friday, Aug. 26th @ 9:15pm; and Saturday, Aug. 27th @ 1pm at Connelly Theater (Fringe Venue #7), located at 220 E 4th St (bet. Aves A&B) (take the F train to 2nd Ave). Click here to buy tickets; tickets in advance are $15 and they’re $18 at the door. Click here for the official press release and here for the show’s blog. I recently spoke with Jessica about her play, and our illuminating Q and A follows. So what is your play, The Average-Sized Mermaid, about? Have you always been attracted to mermaids? How do you explain their allure? I’ve always had a fascination with them. I really can’t explain it. When I was little, my family took a trip to Copenhagen and we visited the Little Mermaid Statue, and I remember my dad lifting me up so that I could touch the mermaid’s tail. 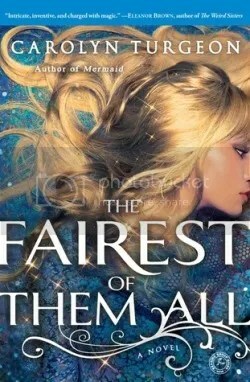 I was entranced because it looked like it was already beginning to split in two, like she was immortalized at the very moment when she’s exactly halfway between mermaid and human, land and sea… my five-year-old self found that to be very profound. I also grew up in northern California, and there’s a great fountain in Ghirardelli Square featuring mermaids nursing mer-babies. Seriously, it’s awesome. I loved it. I loved it so much, in fact, that when my sixth grade teacher asked us all to write mystery stories for a class assignment, I was like, “Screw that. I’m going to write about what would happen if that mermaid fountain in Ghirardelli Square came alive at night!” So I guess the story ended up being a mystery in that it mysteriously had no relation to the assignment, but I still happen to think that it’s a pretty decent piece of writing! My sister and I also used to sing a song in the pool that went a little something like this: “Swim like a mermaid/jump very high/jump like a dolphin/until you reach the sky!” We had a water-ballet worked out that went along with it and everything. We found ourselves delightful. Mermaids have always been a presence in my life, so I guess it was inevitable that I’d eventually write a play about a mermaid! How the play came into being? I was taking a class in college that was called something like “Children’s Literature in Theory” but could have been more accurately titled, “Remember That Story You Enjoyed As A Child? Yeah, It’s Actually About How Women Should Learn Their Place/Female Sexuality Leads to Chaos and Destruction.” Being the twisted playwright I am, I saw comedic potential there: what if someone taught these stories to children while illuminating these themes in a completely inappropriate manner? I simply applied feminist theory, set Miriam in a kindergarten classroom, and viola! The opening scene was born. 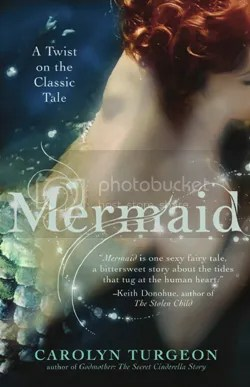 After writing the opening, it seemed clear to me that Miriam had to reject Hans Christian Anderson’s story to the point that she pulls a reversal on the events in the plot: instead of giving up her tail to be with her love like the mermaid, Miriam acquires a tail in order to free herself from the desire from men. You’ll have to see the play to see how it works out! What made you write about a mermaid? Honestly, I just kind of love the idea of a mermaid on stage. 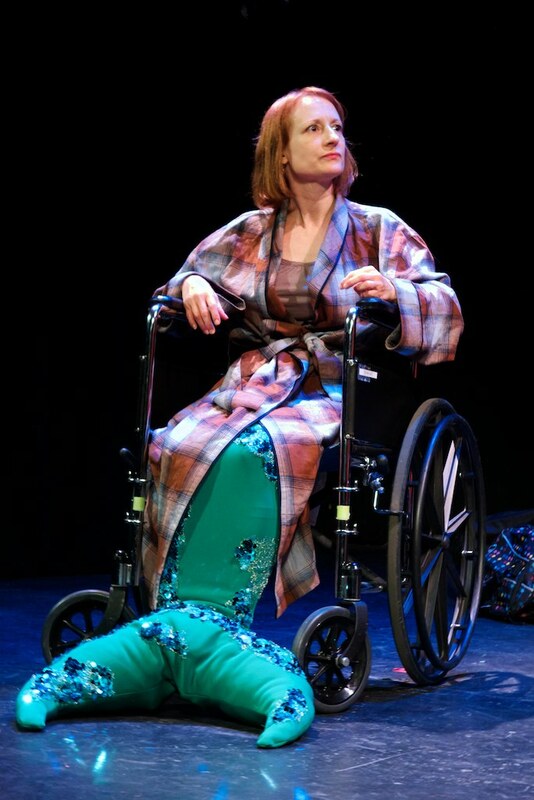 Except for the mermaid, the play actually lives in a fairly realistic world, so there’s something kind of wonderful to me about the fact that there’s this very intelligent woman who just happens to develop a fish tail, and what that does to her life and the lives of those around her. Mermaids seem to be especially popular right now. Do you have any thoughts about why? It’s so funny that you ask this question, because when Lady Gaga performed at a recent concert as a wheelchair-bound mermaid, about 500 people sent me the link saying “You started a trend!” Really, that credit goes to Bette Midler, but since we ALSO have a dance number from a wheelchair-bound mermaid, we’re definitely in good company! I think mermaids are effortlessly compelling… they are half human and half mystery. There’s a character in the play—Barry—who is so excited when Miriam turns into a mermaid because, to him, it proves that magic exists. It proves there’s a little mystery left in this world. I think we’re all a little like Barry… we want some magic in our lives, and I think mermaids embody that desire perfectly. And when they dance, it’s delightful!